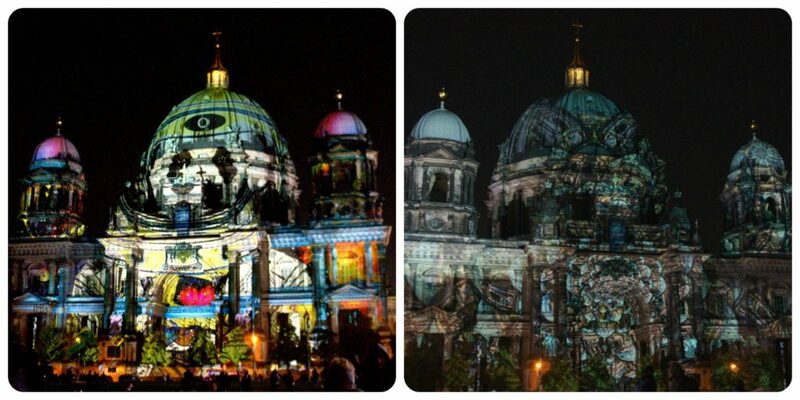 Every Year, for two weeks in October, Berlin lights up in colors and shapes you won´t see any other time during the Festival of Lights and this year it was no disappointment. Check it out. 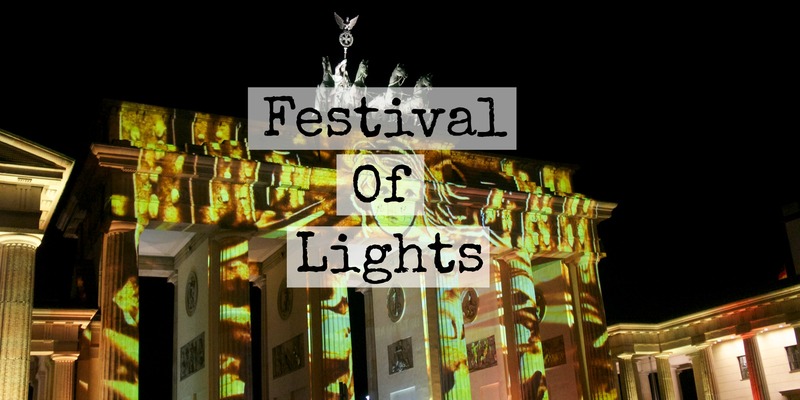 The Festival of Lights happens once a year in Berlin and project lights and designs made by national and international artists into the most incredible buildings in the city including the Brandenburger Gate, Berliner Dom, TV Tower and many more. 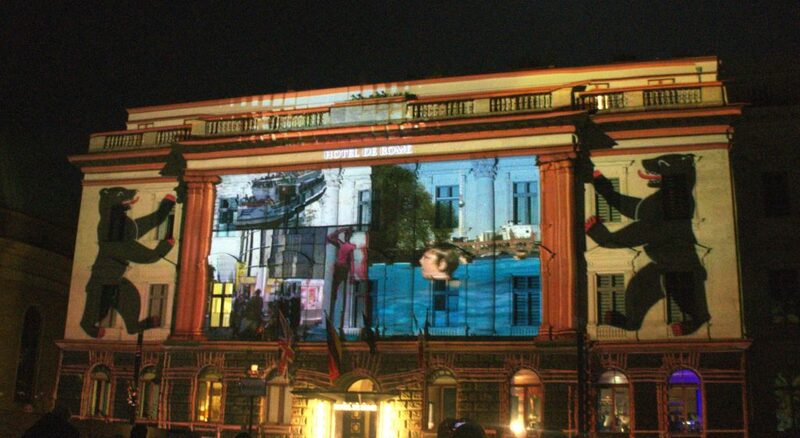 Every year the Festival of Lights becomes an tourist attraction by itself and gathers more than 2 million visitors from the whole world in the 10 days, and this year the projections were amazing, going from history with Hitlers face on the wall (which was quite surprising) to the David Hasselhoff “freedom dance” and conversations between politicians. 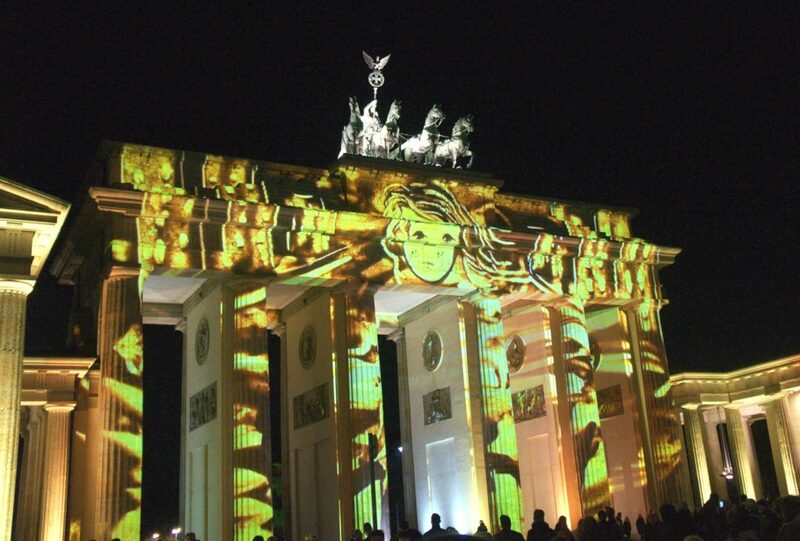 Sand drawings, nature and colorful lights over the Brandenburg Gate and all that makes Berlin, Berlin at the Hotel de Rome. I went with some friends this year, so we grabbed a beer and walked the whole way from Potsdamer Platz, through the Brandenburg gate, passing by the Humboldt university, Bebelplatz, Berliner Dom and finishing at the TV Tower. The path we took is about 4km, and it could take you up to 1,5 to 2 hours walking including the stops to see the lights, and right now the weather is not helping. The summer is definitely over and the temperature has been around 7/8 degrees at night, so not really the best time to be walking around. Another option is to take the special shuttles and tours offered by the partners of the festival. So if you are planning to coming to Berlin at this time of the year, I would definitely recommend taking some time to have a look around during the night. The lights stay on from 7 PM to 12 AM. 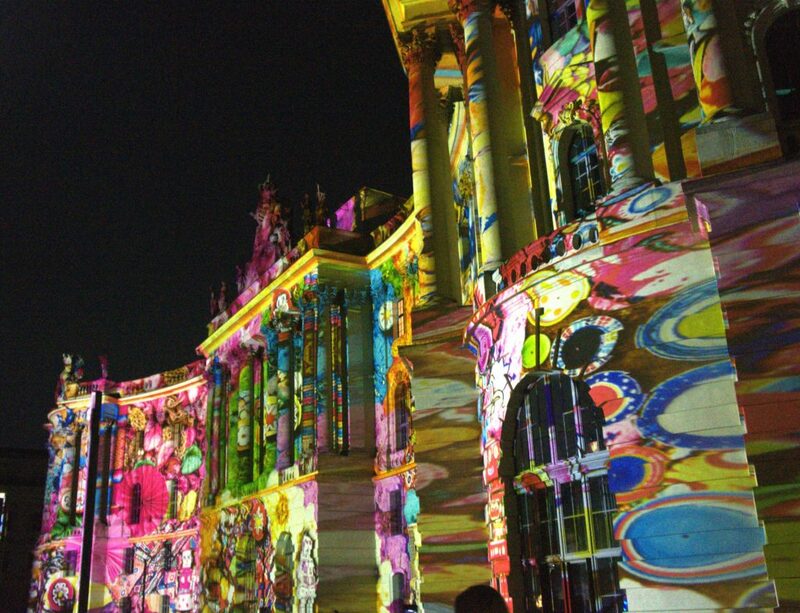 If you have been to the Festival of lights, let me know what your impressions were! You can get much more infos about it here.